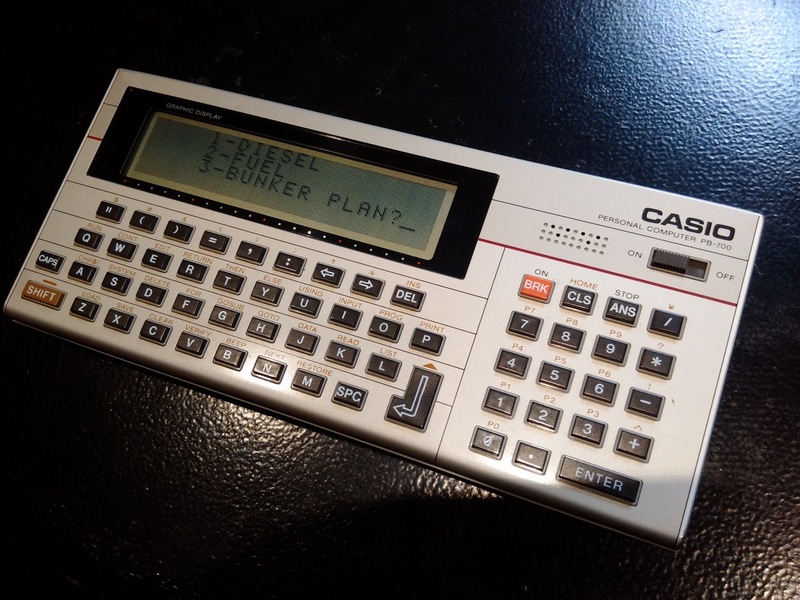 During my last seagoing contract i've take the occasion to solve the problem about how plan correctly the bunker on board. Bunker means fuel on board, the bunker plan it's the filling plan on store tanks, that it's much important for a correct balance of weight on board. 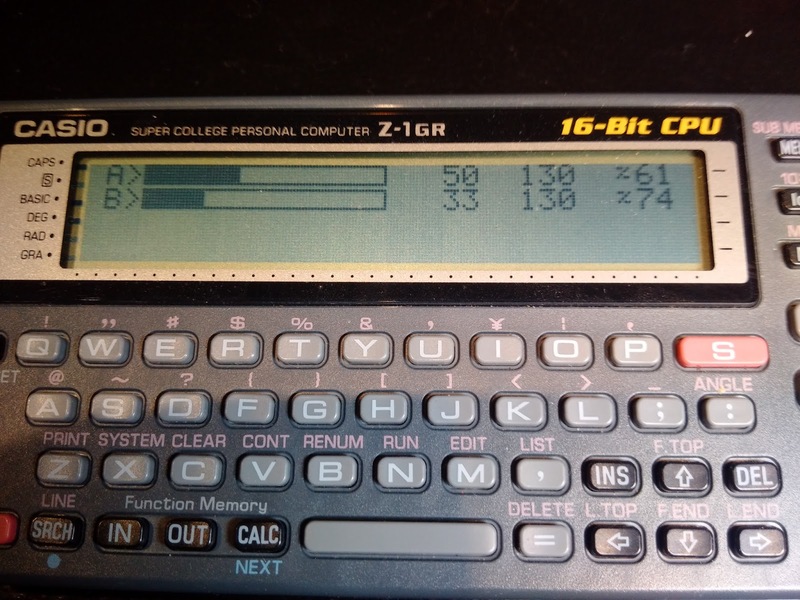 Now i've take my pocket CASIO PB 700 and Z1, BASIC and C programmable, i've choice the basic because it's very LOW programming system and it' so fast to think and wrote. ooops! No C !! but only the classic BASIC!! FUEL/DIESEL COSTANT ' if you wont adapt that software to any tank all over world you need divide the tank to 10 section ( good for strange tanks not geometric as ships double bottoms, natural lake or complex design swimming pool ...eg...). H it's the top height of each section, K it's the costant born between the level and the volume corresponding, L it's the volume of the sections. 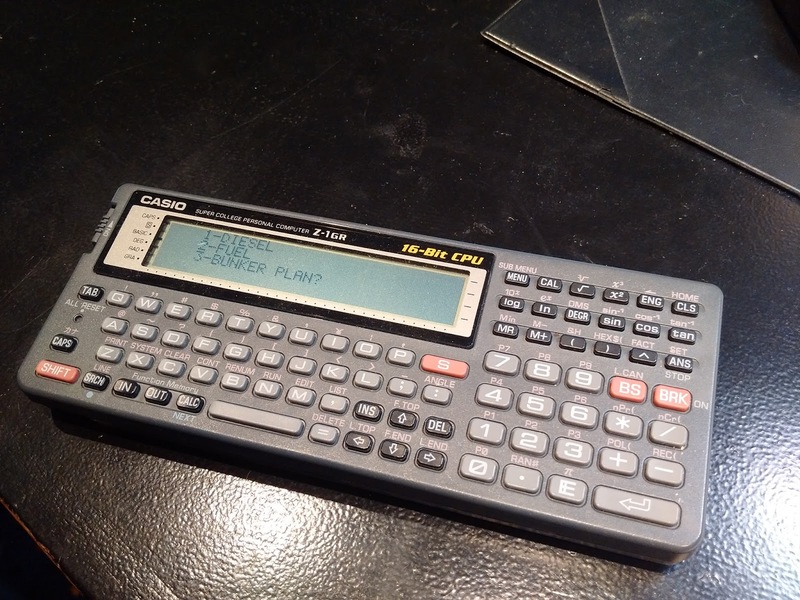 B it's the top sound of the tank, C it's the divide costant for adapt the LCD of CASIO and the graph cycle of draw. Wow! Many yrs later still like type BASIC lines, and you can appreciate how much it's easy to read and adapt to your computer. Basic isn't low level. You should try out some C, this program would be a lot shorter using C. For loops and switch statements will also make the code look cleaner.